Anna Schrimpf is the Co-Executive Director of J-PAL Europe, hosted by the Paris School of Economics. In this capacity, Anna provides technical, strategic, and administrative direction to J-PAL’s research, policy, and training engagements across Europe and francophone Africa. Before joining J-PAL Europe in September 2018, Anna led the development and implementation of MIT's MicroMasters program in Data, Economics, and Development Policy (DEDP) as well as the Economics Department's associated blended Master’s program. 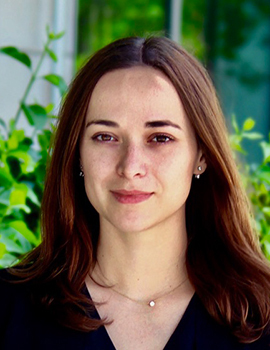 As Associate Director of Education at J-PAL Global, Anna worked with implementers, policymakers, and universities to make rigorous academic training in development economics, data analysis, and the design and running of randomized evaluations available worldwide. Anna is also active in research herself, and currently a Co-Principal Investigator on a large childhood immunization study in Haryana, India. She has supported the work of several NGOs, think tanks, and government agencies in the U.S. and Europe. She first joined J-PAL/MIT in 2016 as a Post-doctoral Associate after completing her PhD in political science at Princeton University and a BA in philosophy, politics, and economics at the University of Oxford.